The 2016/17 NTFL season is getting very close to the pointy end as teams now jostle for their finals positions, or at least their best possible finishes. Interestingly, the top two teams are already decided, as are the two bottom teams – though not their actual finishing positions. Most of the interest, however, will centre on the final positions of the middle four teams. 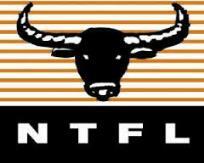 The Top Two – Nightcliff still sits atop the ladder with 14 wins for the season. They have only lost one game – to St Mary’s – and play two of the bottom teams in the final two rounds. That sets up a wonderful match next round when they again meet the Saints. The winner of that match will almost certainly go on to claim the minor premiership. Saints have the harder run home (against Tigers, Crocs and Waratah – all likely finalists) but have proved they have the ability to beat all of those opponents. The Bottom Two – The Tiwi Bombers and Palmerston Magpies have endured horrid seasons. Palmerston are four games adrift of sixth placed Buffaloes, meaning they cannot make finals. The Bombers are worse, without a win for the season (one draw against waratah back in Round 7). Whilst they can both rattle some cages over the remaining rounds, their goals would already be set to finish the season positively and plan for 2017/18 season. The Other Finalists – Wanderers sit in third place and are most likely to stay there. They cannot catch the top two teams, and play the bottom three teams in the run home. They would have to endure a freak upset along the way to lose their Qualifying Final position. Southern Districts Crocs and waratah hold fourth and fifth spot respectively. Half a game separates them, so this weekend when they meet each other, Waratah seeks to secure finals once and for all whilst Crocs will be out to flex their muscle against their likely Elimination Final opponent. With Waratah to meet Saints in the final round, fifth place might be their best hope. The Wild Card – Darwin Buffaloes sit in sixth place, a game and a half behind Waratah and with a comparable percentage. Here’s the deal. Whilst unlikely, the Buffaloes need to beat the first, third and fifth placed teams in their final rounds. If they did, however, and Waratah lose to both Crocs and Saints, then Buffaloes could perform their own miracle. But it is a distant hope. Nevertheless, it will be exactly what they have in mind, so teams will have to treat them with great respect. So, whilst things are far from over, the patterns are there. Predicting is a dangerous game, but here are the tips for finishing order.